Mitigating risks for women travelers — EWA Travel, Inc. In case you don’t know, March is Women’s History Month. It highlights and celebrates achievements and contributions of women that played an instrumental role in shaping today’s society. Of course, this includes in the business travel industry as well. Be that as it may, it’s important for women to be aware of the various risks that travel may pose. As you can imagine, traveling alone can be risky, however, traveling as a woman can introduce an increased number of dangerous situations. 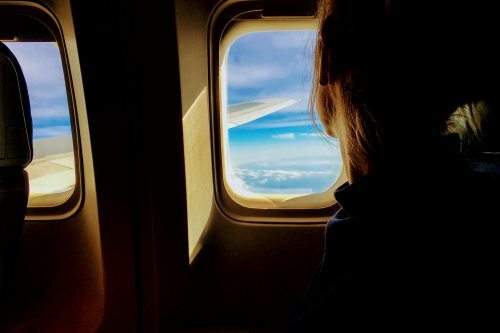 We got some insight from the Vice President of EWA, Chris Van Dyke, to get a women’s prospective on how women can travel solo while mitigating risks. K: In your own words, would you be able to provide some thoughts and tips on safety and duty of care for women? Pre-Trip: Know the map of the city, know your hotel, know where you are staying. Look at Google Maps and know your surroundings before you arrive. Maybe "map" your ride from airport to hotel so you know what "feels" right. Stay up on current events to know if any rallies, strikes, or events are happening that could bring large groups of people. Register with U.S. Dept. of State. You should know the basic customs of the country, including how women generally dress. You should do the same whenever leaving the hotel room, even if staying within the hotel premise. Have the number of your client in your phone as well as other relevant business contacts. Use the concierge's services and don't be afraid to ask about safety, whether you're planning a quick morning run along the river or a lavish dinner, if you're going solo.